The Document Transmittal module is the means by which the flow of documents out of an office, to consultants, the builder and other involved parties, is controlled. 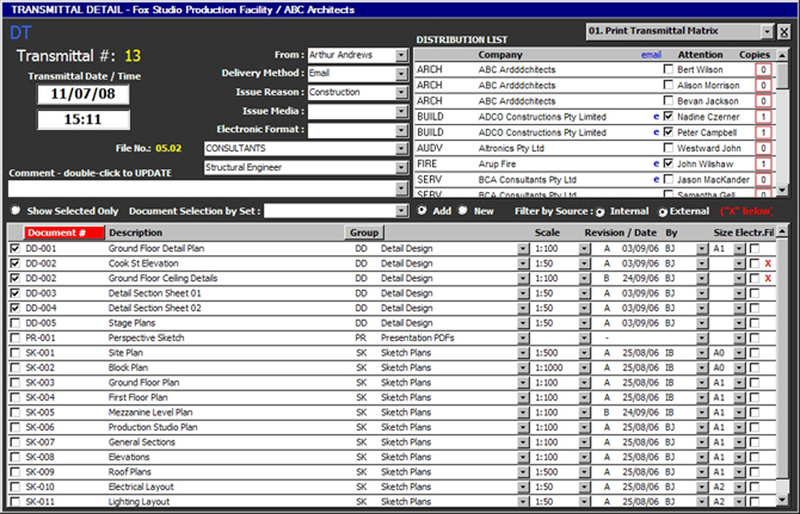 The two primary elements are the Document List and the Distribution List. 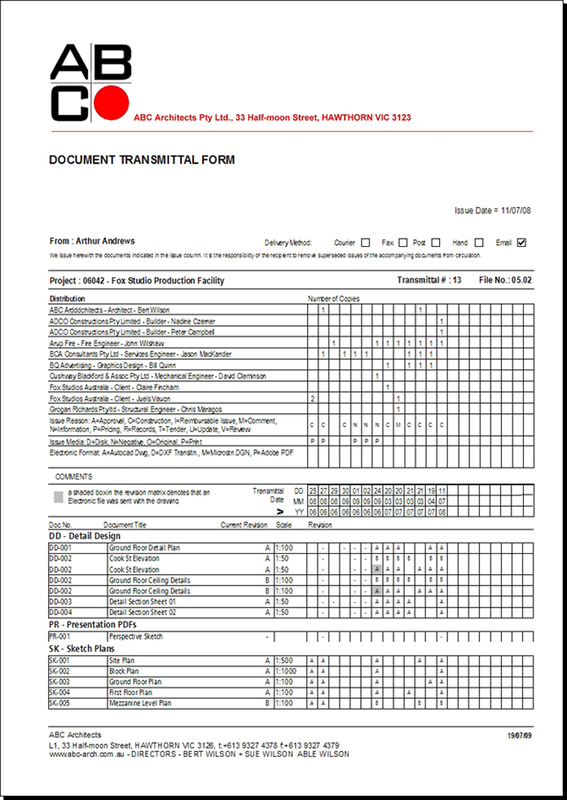 Main output is by way of the traditional matrix style of Transmittal that shows, historically, who has received what (document and revision) and when. The Transmittal may also be in a simple list form that prevents the recipient from seeing who else has received documents. This is useful in the tender phase of a project. Transmittal may be printed but can also be generated as a PDF and attached to an email that will be automatically addressed to recipients who have email addresses in your main Organisation Database.